Simon Saunders, boss-man overlooking the ridiculous Ariel family of street-legal tubular performance machines including the Atom and Nomad, has dropped some hints about future models including luxury limousines, an electric Atom and possibly borrowing the hybrid heart of the new Acura NSX when the time is right. Speaking to Autocar, Saunders discussed a few ideas on the table for the future of Ariel, speaking mostly about a hybrid version of the Atom borrowing some pieces from the sort-of-new Acura NSX. Saunders’ logic is that Honda will take the hybrid breakthroughs of the NSX and sprinkle the technology into upcoming hot-hatches and other, more affordable models. 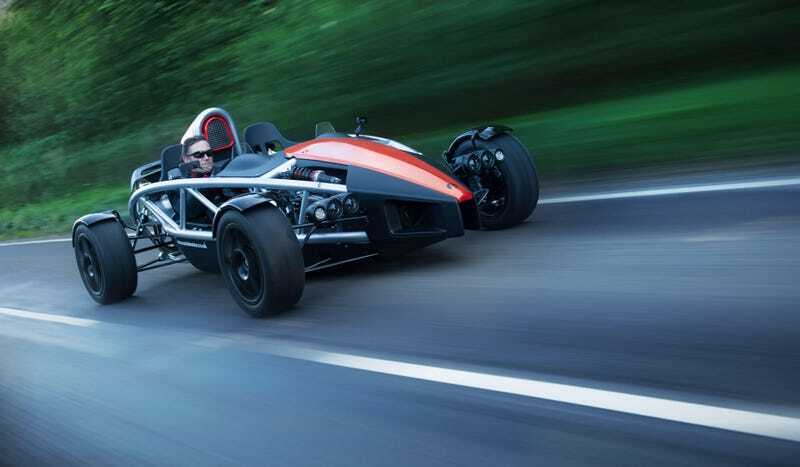 This, in turn, opens the fancy new hybrid powertrains for Ariel to swoop in a borrow for future versions of the Atom and possibly the Nomad sports-vehicle-buggy-things. Ariel already borrows engine and powertrain elements in existing Ariel models from Honda. Saunders also thinks the Atom will move with the times, hinting that an all-electric Atom would make plenty of sense. Imagine the performance specs on that thing. Put a back seat on the Nomad and I’d still clap until my hands were raw. The future of Ariel is sounding pretty fun.